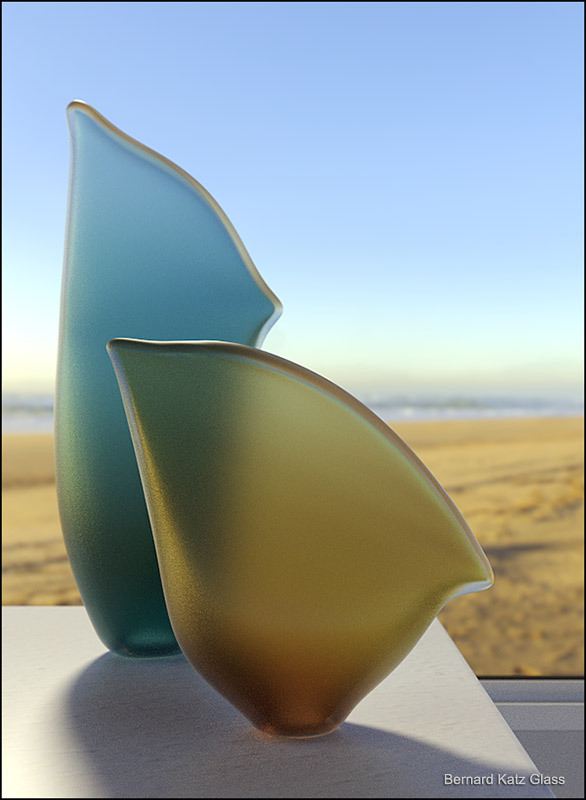 The Beach Horizon glass art sculpture is an abstract ‘nod’ to the dance between the beach and the ocean. 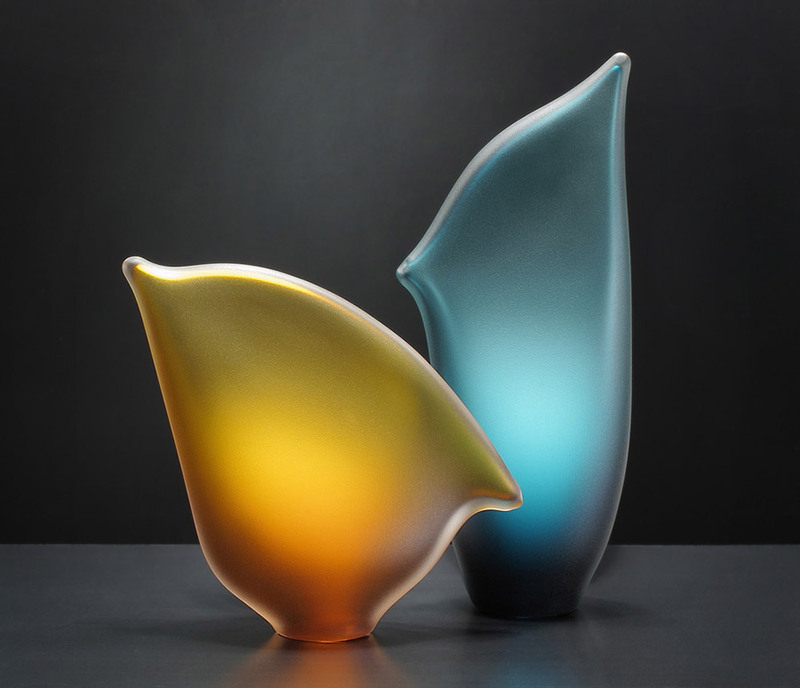 The two sculptural glass forms are paired together to perform this never-ending dance. The yellow gold amber colored glass form becomes a strand-plain… Always stretching towards the ocean; a shoreline reaching for the water. 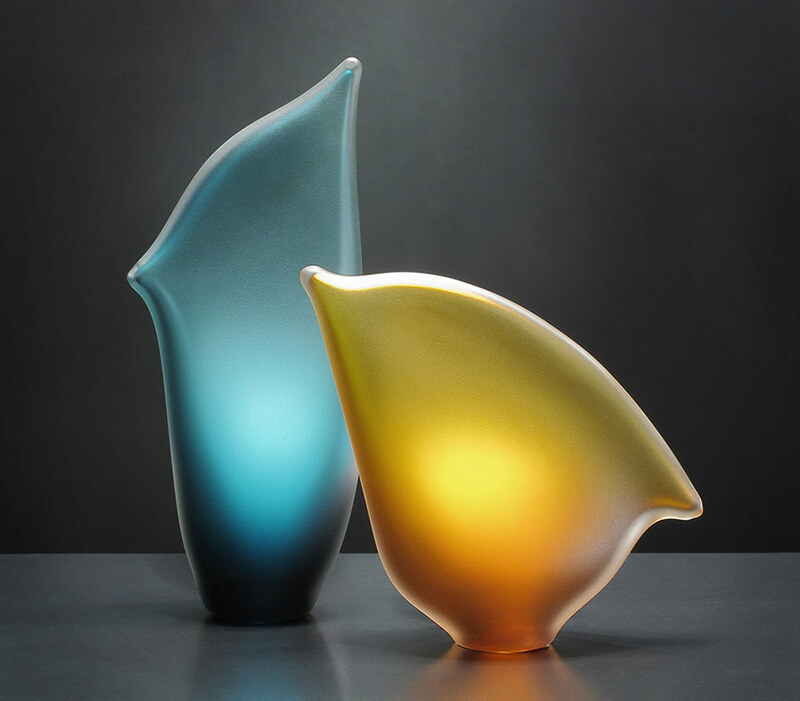 The blue glass form’s movement mimics with a certain independence, the ever reaching shore. 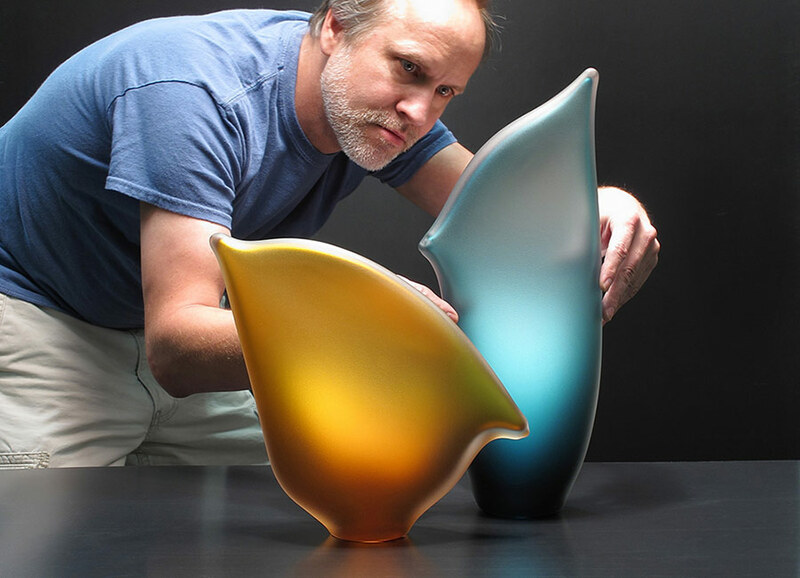 A simple 3D model drawing was created by Bernard to help show a potential environment for this one-of-a-kind glass sculpture.